William Nash was a Private Marine in the 58TH (Plymouth Company). He had served in 1784-86 on the Plymouth guard ship Bombay Castle, before embarking aboard Prince of Wales. William served at Port Jackson in the company of John Shea, Captain of the Marines. accompanied William as his ‘common law wife, despite not being legally married to him at that time. As the baptismal record for their son William on 25 May 1788 indicate that she fell pregnant to William during the voyage. Baby William died a month later. Maria and William were married on 13 February 1789 by the Chaplin Richard Johnson; Maria signing the register as Maria Haynes. On 4 March 1790 they went to Norfolk Island by Sirius. In 1792 they returned to Port Jackson for William to enlist in the NSW Corps. Whilst living in NSW, they had five children, and then in 1802 Maria had left him to live with Robert Guy. William’s attempts to recover her through the courts failed, partly because he had not taken action on a previous order. He may have gained custody of two of the older children, but abandoned them when he left the colony in 1804. On 16 December 1820, Robert Guy died. Maria was living alone in 1828 at Evan with 30 acres of which 25 were cultivated and owning two horses. She was reported dead on 13 November 1844, aged 74, and was buried at Castlereagh NSW. 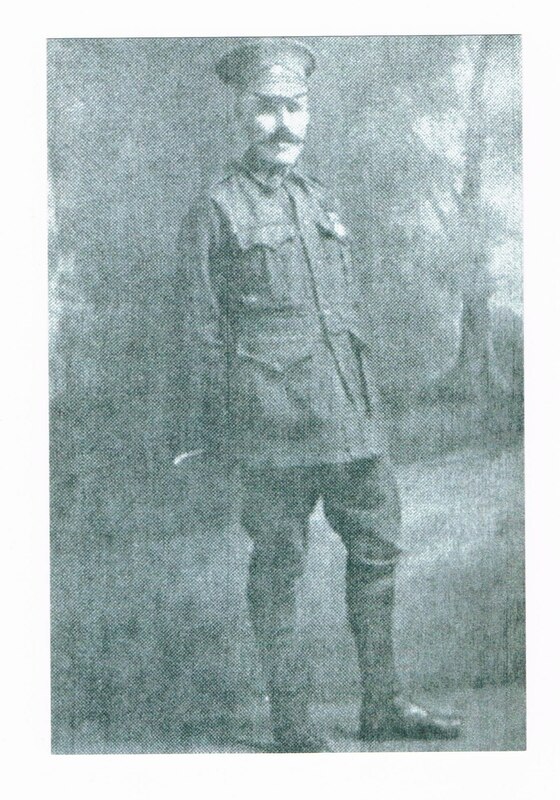 Two years into WW1, Amos enlisted on 25 July 1916 in Goulburn NSW. He gave his age as 39 years, occupation Station Overseer and wife Millicent (Millie) as next-of-kin; they were married in 1910. 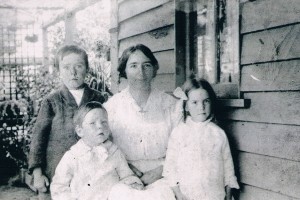 Amos left her with three young children under the age of six, when he embarked at Sydney on 11 November 1916 per HMAT Suevic A29. On 22 May 1917 he proceeded overseas to France from England. Amos was wounded in action (shell gassed) on 24 April 1918, during the Second Battle of Villers-Bretonneux. Following treatment at the Base station, he was received at the 26th General Hospital Etaples. During the War, Etaples became a vast Allied military camp and then a giant ‘hospital city”. 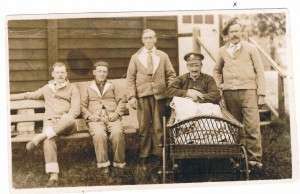 Wounded soldiers were often sent to Etaples to recover or en route for Britain. 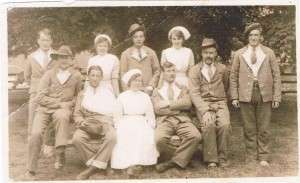 On the 1st May he was transferred to England aboard the Stad Antwerpen and admitted to the Northamptonshire War Hospital Duston, In June he was transferred tothe 1st Auxiliary Hospital Harefield before being discharged to No.3 C Department Hurdott. 15th Battalion Volunteer Defence Corp, part time. Discharged 25 September 1945. He had taken 7 years off his age in order to enlist, as his real age of 66 would have been too old to be accepted. He marched every ANZAC Day for as long as I can remember. (Rosemary Smith granddaughter). Boar War veteran, Mr Amos Williams, of Dalgety, who will turn 90 this month is to be awarded life membership of the RSL. 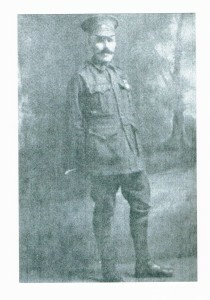 Mr Williams was a veteran of both the Boer War and World War One. He has been a member of the Snowy River sub-branch of the RSL since 1922. His life membership will be conferred at a ceremony later this month. Sara joined on 13 December 1917 in Launceston Tasmania. She was 30 years old and newly graduated as a registered nurse. She gave her mother Catherine Williams, David Street Albury NSW as next-of-kin. 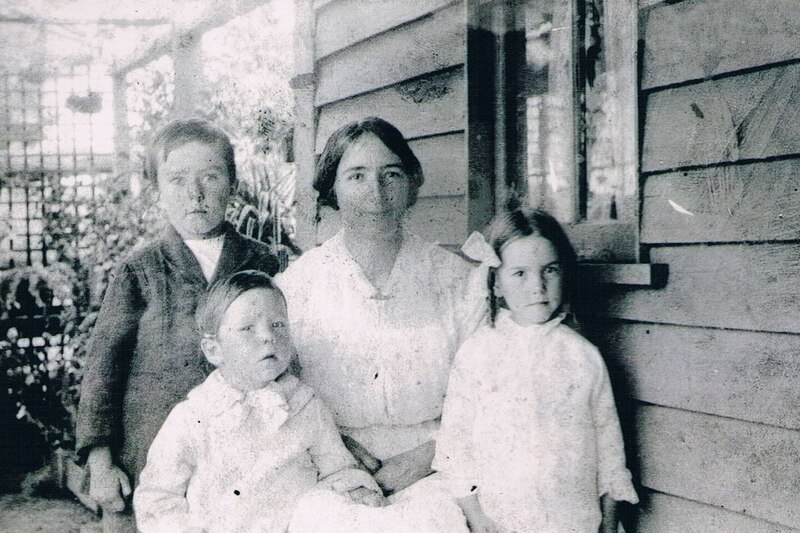 On the 16 December 1917, Sara left Tasmania on the SS Rotomahana for Adelaide. Then on the 5 January 1918 Sara sailed from Adelaide aboard HMAT Borda A30, disembarking Plymouth on 4 March 1918. 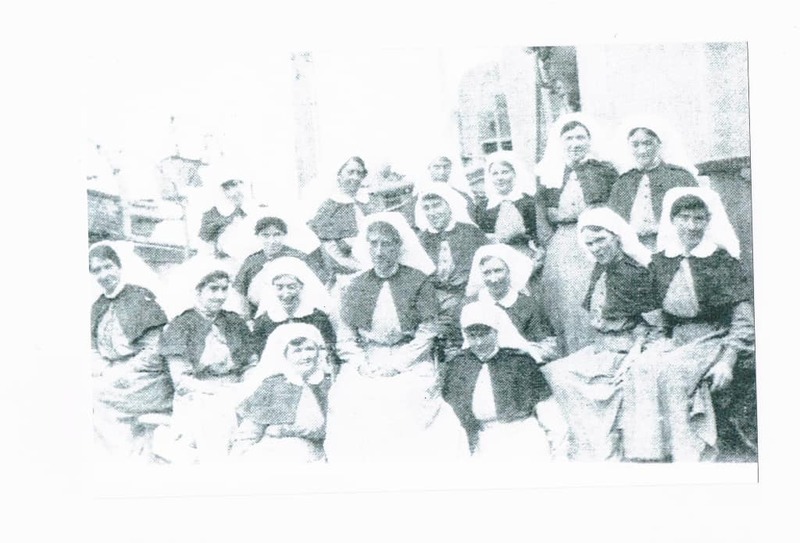 The ship carried a medical staff contingent of the Army Medical Corps August 1917 Reinforcements. Sara was posted to 25th general hospital ex 2nd Australian Army Hospital England, to Hardelot (near Boulogne) France on 27 May 1918. This Hospital specialised in treating Mustard Gas Victims. Following nine months of service, Sara proceed back to the UK ex 25th General Hospital on 28 February 1919 to return to Australia. She departed on 21 March 1919 aboard the HMHS Kildonian Castle for Melbourne. Two notable Australians aboard were Captain CEW Bean, the Australian War Correspondent and Major AB Paterson (the author of The Man from Snowy River). 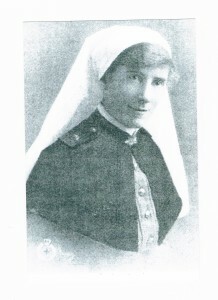 Sara was discharged on 24 August 1919. Sara continued with her nursing as in June 1922 she was at the South Sydney Women’s Hospital Sydney. She married Alfred William Woods December 1924.